I love quick and easy sweets. This upside-pie came about when I went to make my apple and date upside-down pie and I was out of dates. I had already made the pastry so I looked through the pantry hunting for something to go with my sliced apples, the sweet brown sugar and the drizzle of melted butter that goes over the top of the pie before serving (yes, it is as delicious as it sounds!). I spied a bag of honey-roasted macadamias and had a little light bulb moment. The combination was amazing! 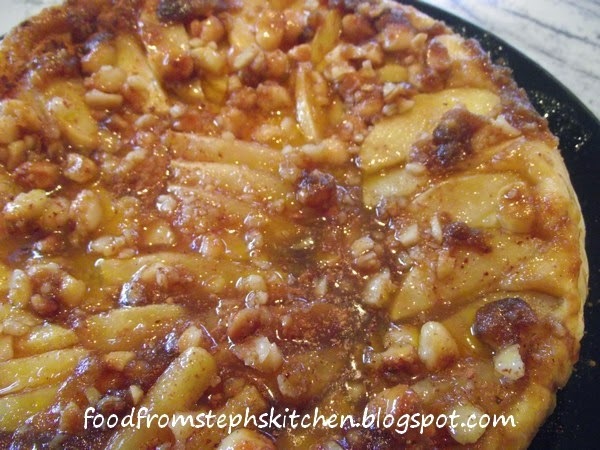 The nuttiness of the macadamias is a perfect match with the sweet of the apples. First step, the pastry. In a food processer add the butter, flour and sugar, and blend until it forms fine breadcrumbs. Then slowly add the water while blending, letting your dough turn into one large ball. Line a 24cm pie dish with baking paper, allowing it to hang over the sides a little (or a lot) so that you can use the over hanging bits to lift the pie out easily later. Add the macadamia nuts a zip-lock bag, and using something with a little weight, such as a tin or a mug, lightly smash them. How much is up to you. Then core and thinly slice the apple. Now you're ready to put the pie together! 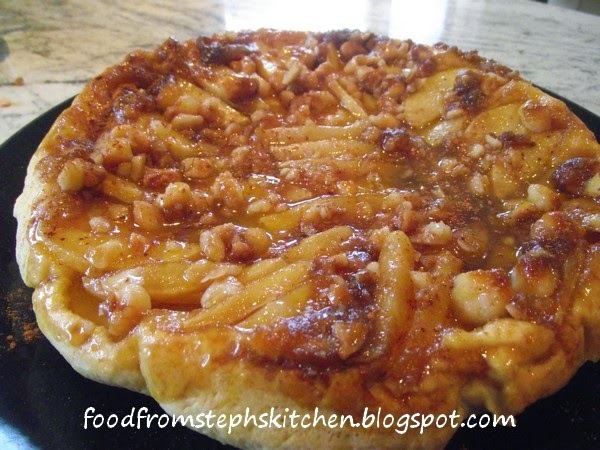 Firstly, sprinkle the brown sugar on the bottom, then the smashed macadamias, followed by slices of the apple. Over lapping the apple is ok, as there is a little more then you need to cover the bottom. Next we'll get started on the top of the pie! Quickly knead the dough on a floured surface, then roll it out to slightly wider then the width of your pie dish. Place the pastry on top of your filling, pushing it down into the dish, tucking it slightly down the sides so it creates a sort-of lid around the filling. This will allow the apples better while the pie is baking while in the oven. Pop in the oven for 25 mins or until golden brown. Once ready, place a dish on top of the pie, turning it upside down so that it sits on the plate. Slowly pull back the baking paper and while still warm drizzle over the melted butter and sprinkle with some cinnamon.